The vast majority of scholars have opposed runoff. [iii] But, it is indeed superior. Runoff opens the electoral arena but at the same time enables presidential legitimacy and entices presidential candidates towards the political center. To assess the impact of plurality versus runoff rules on levels of democracy, I elaborated a dataset for Latin America between 1990 and 2016. [iv] Thresholds for a first-round victory between 40 percent and 50 percent were classified as runoff but thresholds below 40 percent as plurality. Bolivia was omitted because, until 2009, its rule was anomalous (if no candidate tallied 50%, the president was selected by the legislature from among the top two finishers (or, prior to 1990, the top three finishers). Levels of democracy were measured through the addition of political rights and civil liberties scores by Freedom House (www.freedomhouse.org) and by the Liberal Democracy scores in the Varieties of Democracy 7.1 dataset at www.v-dem.net. Figure 1 shows that Freedom House scores were similar under runoff and plurality between 1990 and 1998 but subsequently improved under runoff and plummeted under plurality. The trajectory of V-Dem Liberal Democracy scores was similar. In regression analysis (using a random effects linear model and conventional control variables), runoff was significant to superior Freedom House and V-Dem scores at the .05 level. Scholars’ primary concern about runoff is that it lowers barriers to entry to the electoral arena and, concomitantly, enables a larger number of parties. Under plurality, a new party is usually a “spoiler” party; but, under runoff, citizens can vote sincerely in the first round for the candidate whom they prefer. These scholars’ concerns are not unfounded. In the most recent elections in Chile, Colombia, and Guatemala, the number of parties surpassed 6.0 and, in Brazil, 10.0. Often, many parties are inchoate and, sometimes, executive-legislative conflict is severe. However, lower barriers to entry are synonymous with greater openness of the electoral arena. It is easier to defeat long-standing parties with authoritarian proclivities that have lost majority support but retain political bases. Such parties endured for many years under plurality in the Dominican Republic, Honduras, Mexico, Paraguay, and Venezuela. An open electoral arena was especially important in Latin America because, during the Cold War, Marxist parties had built considerable support but had usually been excluded; in the 1990s and 2000s, a key challenge was the incorporation of these parties into the democratic political arena. Under runoff, a virtuous circle emerged. With lower barriers to entry, leftist leaders gained respect for the democratic process and were likely to moderate. For their part, long-standing parties knew that any new party would have to win 50 percent and, by definition, could not be “extreme;” they were less likely to resort to ugly tactics—again, increasing rivals’ respect for the democratic process. By contrast, under plurality in the Dominican Republic (until 1994), Honduras, Mexico, Paraguay, and Venezuela (until 1993), long-standing parties endured by means of dividing their opposition and applying ugly tactics—alienating the left and decreasing its respect for the democratic process. Still, measures to reduce the number of parties under runoff would be advantageous. The most promising reform would appear to be scheduling the legislative election at the time of the runoff or even after the runoff. (Currently, in most Latin American countries, the legislative election is scheduled at the time of the first round.) In France as of 2002, the legislative election has been scheduled after the runoff and, in France’s 2002, 2007, 2012, and 2017 elections, the expectation for momentum for the president’s party has been realized. Although legitimacy is a complex concept, it is clear what presidential legitimacy is not: it is not a president elected by a minority of voters and opposed by the majority—which can happen under plurality. In 2006-2007 surveys that I carried out with legislators in Latin America, 84 percent of the 133 legislators who preferred runoff cited greater presidential legitimacy as their reason. [v] These preferences were based in part on Latin America’s historical experience. Although the causes of military coups in Argentina in 1963, Brazil in 1955, Chile in 1973, Ecuador in 1968, and Peru in 1962 were manifold, they occurred after elections in which the incoming president had won only 25 percent, 36 percent, 37 percent, 33 percent, and 28 percent respectively. For the forty-five elections under plurality between 1978 and 2012, I determined that, under runoff, a “reversal” of the first-round result (victory for the first-round runner-up) would have been likely or virtually certain in seven (15 percent). [vi] Also, between 1990 and 2016, elections were won with 41 percent or less in the Dominican Republic in 1990, Honduras in 2013, Mexico in 2006 and 2012, Nicaragua in 2006, Panama in 1994, Paraguay in 1993 and 2008, Uruguay in 1994, and Venezuela in 1993—often provoking legitimacy deficits even if the first-round runner-up would not have been likely to win. Sometimes, legitimacy deficits were overcome–but sometimes not. In various elections under runoff, the rule prevented victories by first-round winners that would have provoked widespread dismay. Among the most problematic victories would have been Carlos Menem in 2003 in Argentina and Ollanta Humala in 2006 in Peru. Further, presidents who prevailed in runoffs but whose parties were perceived to be leftist or populist gained legitimacy advantages through majorities in runoffs. Among the most important examples are Jaime Roldós in 1978-1979 in Ecuador; Salvador Sánchez Cerén in 2014 in El Salvador; Vinicio Cerezo in 1985 and Álvaro Colom in 2007 in Guatemala; Ollanta Humala in 2011 in Peru; and José Mujica in 2009 in Uruguay. Between 2000 and 2012, a president (or presidential candidate within 5.0 points of the winner) was classified at the “extreme left” (1.0 through 3.2) in four of the six plurality countries but only one of the eleven runoff countries. Candidates at the “extreme right” (8.0-10.0) were elected in three of the six plurality countries but only three of the eleven runoff countries. Further, presidents or top presidential candidates at the “moderate left” (3.21 through 4.99) were rare in plurality countries but common in runoff countries. Often, these moderate leftists had previously been classified at the extreme left or had run for parties classified at the extreme left: Brazil’s Luiz Inácio (Lula) da Silva, Guatemala’s Álvaro Colom, Peru’s Ollanta Humala, and Uruguay’s Tabaré Vázquez. Gradually, these leaders appeared to decide that, if they were to win, they would need to shift towards the center. Although no electoral rule is a panacea, runoff has been successful in Latin America. 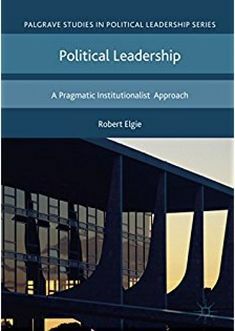 The greater openness of the electoral arena facilitated the defeat of long-standing parties with authoritarian proclivities that had lost majority support but retained political bases. Presidents were enticed towards the political center and, with majorities of the vote, did not suffer legitimacy deficits. [i] Nils-Christian Bormann and Matt Golder, “Democratic Electoral Systems around the world, 1946-2011,” Electoral Studies 32 (March 2013): 360-369. [ii]Author’s calculation from www.electionguide.org and, if necessary, a country’s constitution. The “electoral democracy” and regional classifications follow Freedom House at www.freedomhouse.org. The figure for Latin America excludes several countries with a reduced threshold; the figure for Sub-Saharan Africa includes several countries in which runoff is combined with a territorial distribution requirement. [iii]John M. Carey, “Presidentialism and Representative Institutions,” in Jorge I. Domínguez and Michael Shifter, eds., Constructing Democratic Governance in Latin America (Baltimore, MD: Johns Hopkins University Press, 2003), 14-15; Aníbal Pérez-Liñán, “Evaluating Presidential Runoff Elections,” Electoral Studies 25 (March 2006), 129; Juan J. Linz, “Presidential or Parliamentary Democracy: Does It Make a Difference?” in Juan J. Linz and Arturo Valenzuela, eds., The Failure of Presidential Democracy (Baltimore, MD: Johns Hopkins University Press, 1994), 21-22; Scott P. Mainwaring and Matthew S. Shugart, “Juan Linz, Presidentialism, and Democracy: A Critical Appraisal,” Comparative Politics 29 (July 1997), 467-468; Arturo Valenzuela, “Latin America: Presidentialism in Crisis,” Journal of Democracy 8 (October 1993), 8. [iv] For more information, see Cynthia McClintock, Electoral Rules and Democracy in Latin America (Oxford University Press, 2018), Chapter 2. [v] For more information, see Cynthia McClintock, Electoral Rules and Democracy in Latin America (Oxford University Press, 2018), Appendix 1. [vi] For more information, see Cynthia McClintock, Electoral Rules and Democracy in Latin America (Oxford University Press, 2018), Appendix 6. [vii] For more information, see Cynthia McClintock, Electoral Rules and Democracy in Latin America (Oxford University Press, 2018), Chapter 3. This entry was posted in Latin America and tagged democracy, elections, Latin America on March 28, 2018 by Robert Elgie.